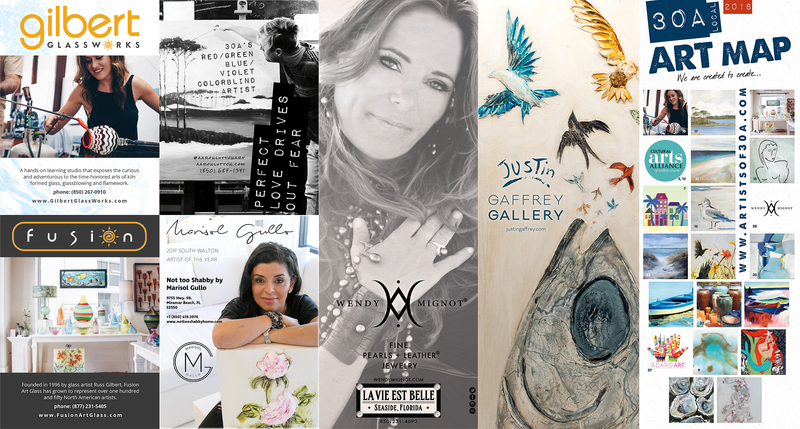 The official 2018 30A / South Walton Art Map is complete and will be located in lobbys, vacation homes, local businesses and more soon! The 2015 30A Art Map is Here! 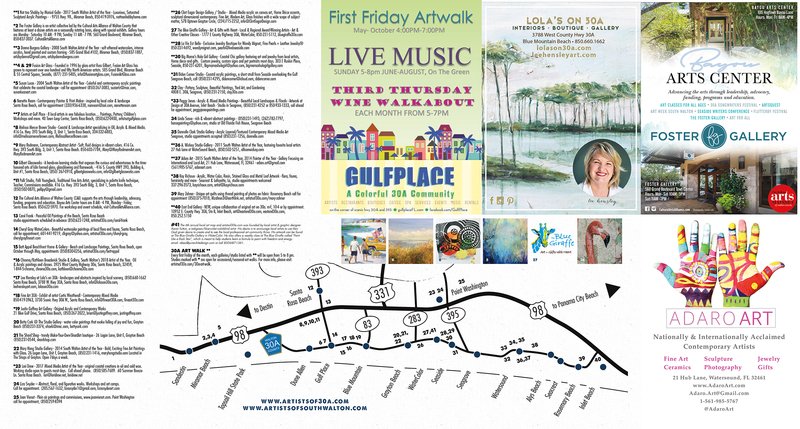 Find the First Ever 30A Art Map at More Locations! 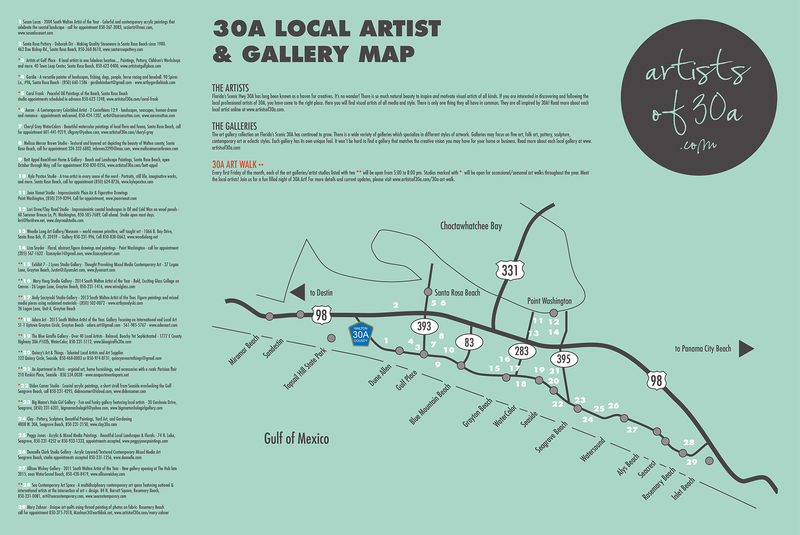 The 30A Art Map can now be found at even more of your favorite 30A restaurants, coffee shops and galleries.